Two players race through, up and over obstacles in our 35 Ft Obstacle Course. Two attendants are required to monitor play at all times. These attendants can be someone that you provide, or Parties Inc. can provide attendants at an additonal cost. 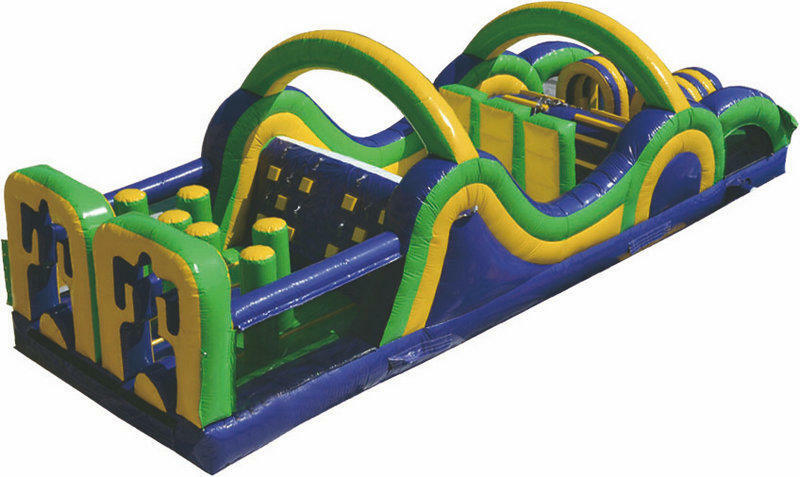 Our 35 Foot Obstacle Course is 31 Feet deep by 11 feet wide by 11 feet high and needs a set up area that is 37 feet deep by 15 feet wide by 12 feet high. One 20 amp circuit with nothing else running on it must be located within 75 feet of set up location.